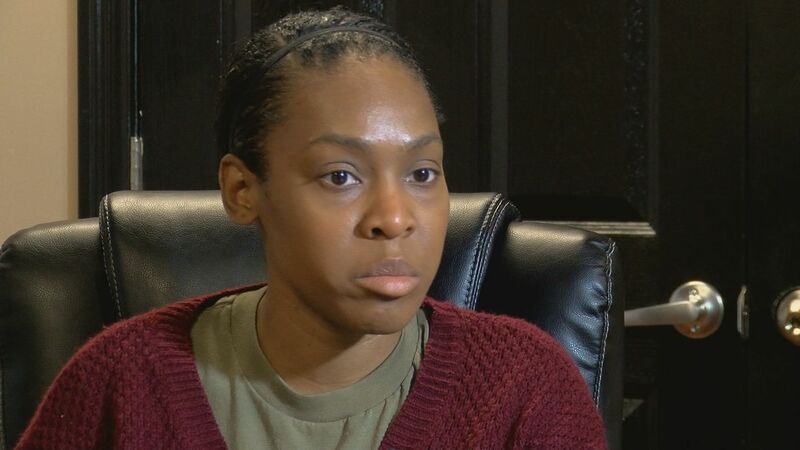 A Fort Knox sergeant is going on the offensive after being charged with a crime she says she didn’t commit. Police charged Kai Waters, 33, with felony assault in connection to a road rage incident in Elizabethtown in February. Waters says she now has proof that she was not the aggressor. She spoke with WAVE 3 News, claiming Elizabethtown police who arrived on scene assumed she was the attacker because of her age and race before looking at all the evidence. Waters alleges the woman she stabbed followed her to a gas station and then attacked her. The native of Chicago told WAVE 3 News what her life was like eight months ago, when she was moving to Hardin County from New York to take a job for which she was recruited. “Oh I was happy, it was like the happiest day of my life,” Waters said. The Sergeant First Class said the job at Fort Knox helping soldiers is something she dreamed of doing. But she feels differently now. Waters said she was still on the phone with the 911 operator when the woman came up to her car and started punching her. Aldridge said the video seems to show a clear case of road rage on the part of the other woman. “I trust that the grand jury would have a very difficult time indicting her (Waters) based on the conduct that is provable by the video,” he said. A spokesman for the Elizabethtown Police Department told WAVE 3 News the investigation is complete and they won’t comment on the accusations made by Waters. As for the 58-year-old woman who police say is the victim in this case, she told WAVE 3 News she wants the opportunity to tell her side of the story -- but because she is a witness, her attorney told her she must wait until the case is over. Waters filed a complaint against the woman but says police did not act on it. The Hardin County Commonwealth Attorney said a grand jury will soon decide if Waters should be indicted or not. Waters is temporarily off the job she was hired for at Fort Knox while the case is pending. Without a full dismissal, she could be charged by the Army later. But ultimately, the court will decide her fate.